Remember the joy and playfulness found in life's journey? Follow the tiger and take the Joyful Journey with Sunderstorm. Sunderstorm offers a Pure Experience by consciously infusing products with the highest quality Cannabis oil and Natural ingredients. 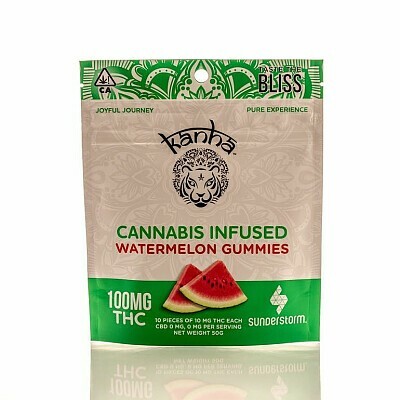 Enjoy This Watermelon Cannabis Infused Gummy. Delivering a Blissful 100 mg.